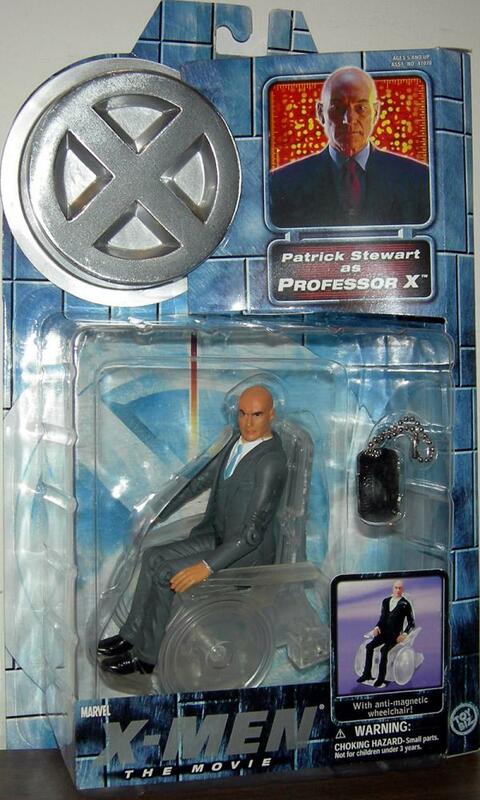 Charles Francis Xavier, also known as Professor X, possesses the most powerful mutant mind on earth. He is the world's strongest telepath and can read people's thoughts and control their actions. Xavier formed his team of X-Men to stop evil mutants from using their great powers to try to enslave and destroy humankind. Xavier's greatest enemy, Magneto, was his closest friend until their radically different philosophies placed them at odds. Magneto's mutant powers of magnetism allow him to have complete control over all forms of metal. When Xavier encounters the megalomaniac, he uses a special wheelchair made completely of plastic parts so that Magneto cannot manipulate it and use it as a weapon.